Your needs are our top priority. Our strategies are built to fulfill your goals. 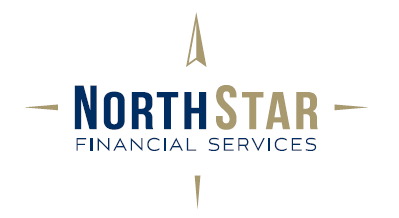 At Northstar Financial we bring over twenty years of experience to helping investors build and preserve their wealth. We draw on this heritage of excellence to provide important perspective when counseling clients on their financial management needs. We start by asking the right questions, and only after gaining a true understanding of your objectives, will we begin to offer tailored recommendations. Our mission is to strengthen your financial independence and identify new opportunities for success. Consistency yields the best results, and financial fitness requires a discipline of its own. As your strategic partners, we will monitor your financial fitness and make regular adjustments as your needs evolve. We believe your goals, business commitments, and family situation deserve unique strategies that are customized to you and adaptable to change. We value individuals who are motivated to learn and driven to succeed. Whether you’re just starting your career or are getting ready to leave the workforce, we’ll help simplify the retirement process so you can prepare with confidence. Live the lifestyle you’ve imagined. Our customized plans are designed to help individuals at all stages create, accumulate, and preserve their wealth. Our goal is simple: to help grow and preserve your assets. Through our state of the art tools and technology, we’ll build strategies tailored to your needs. Our monthly newsletters are provided to help inspire clients to better understand the financial world and implement their knowledge on a daily basis.